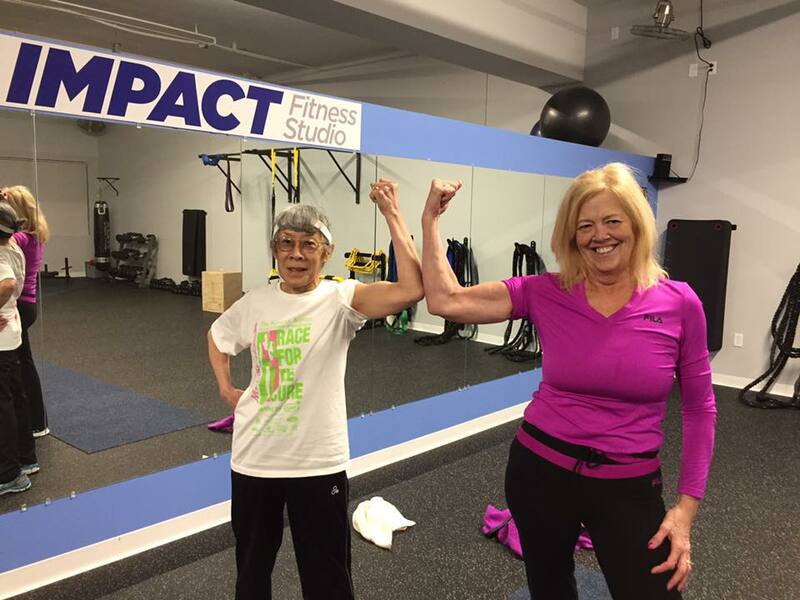 Impact Fitness provides customized fitness programs and instruction with our Semi-Private Personal Training in Oak Creek. Personal training doesn’t necessarily have to mean one-on-one, it means personal to you and to your goals. In the spirit of redefining personal training, we’ve designed our Semi-Private Personal Training program for those who enjoy the group environment, but still appreciate a focused attention from our Fitness Consultants. Clients love our semi-private personal training groups because they get a highly personalized program that specifically designed to help them achieve their goals, prevent injury, address strength and flexibility imbalances, but get the camaraderie and motivation of like minded inner athletes. There’s no more than four participants in each semi-private personal training session, so you will more easily get the personal attention of one of our experts to ensure each and ever exercise is safe and effective. Get started with Semi-Private Personal Training in Oak Creek, Small Group Personal Training in Oak Creek or Small Group Personal Training in Franklin. Community Motivation + Personalized workouts + Expert Instruction = Accelerated Results. 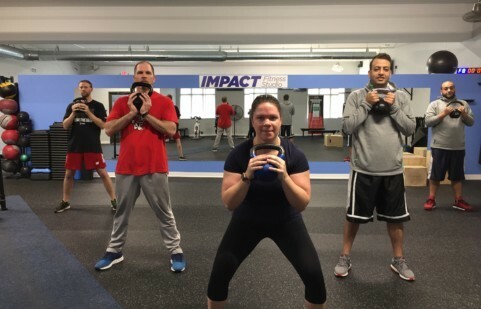 Bring a few friends and form your own Semi-Private Personal Training session time, or choose from a variety of groups already in session at Impact Fitness. You’ll find the excitement, energy and accountability you’ve experienced in other “group fitness” classes, but that we’ve taken it to another level by employing customization and our unique Impact Fitness philosophy. You’ll read more below about your first visit and early steps in program development – the same services our one-one-one personal training clients receive. They key difference is the group training sessions you’ll attend. Here’s what you can expect when starting your Semi-Private Personal Trianing Program. To produce results, we set a goal of attending three-four sessions per week. Each personal training group’s sessions changes through out the week to address specific fitness goals and muscle groups. Additionally, your workouts will change each month and adjusted based on ongoing fitness assessments and results measurement. This is key to keeping the body physiologically adapting to change helping you avoid the dreaded plateaus and keep you psychological motivated as well! Through the use of technology, we also help you plan and track your fitness regimen when you are in and out of your group sessions. Exercise alone can only produce so many results. To help you reach your goals faster and more efficiently, included in your personal training program is our nutrition coaching. Featuring 6 helpful training modules, a grocery store food education tour, and a review of supplements, we help you achieve maximum health and fitness. Semi-private personal training clients often use this program to challenge each other to perform at a higher level. Every 6-8 weeks, you’ll meet with your personal fitness coach, one-on-one to review your goals and progress. If necessary, your program design and goals will be adjusted to keep you motivated and successful. This element of accountability, measurement and refinement of our customized fitness program design is unique to the Impact Fitness philosophy.